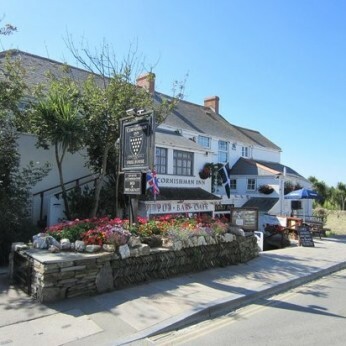 The Cornishman is a proper traditional Cornish Inn located centrally to Tintagels main attractions. With its extensive rooms and grounds, there is a place for everyone.The Cornishman is an Inn for all seasons, set in the historic and picturesque village of Tintagel providing an ideal location to explore "Arthurian Cornwall".You can join in with the bustle of one of the bars, or tuck yourself away in one of the nooks and crannies of the Cornishman for a quiet drink or meal.Dine from an extensive restaurant menu or enjoy simple bar meals. Relax in the large gardens where the children can run around or enjoy our blooming flower terrace.If you would like to stay for the night or longer, we have comfortable en-suite rooms for you to have bed & breakfast with us.